This heavy duty digger will break through most soils and even small roots to retrieve your treasure. 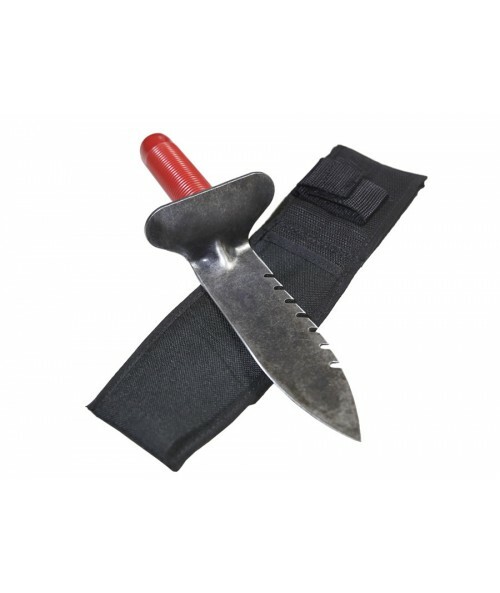 The digging tool has a comfortable rubber grip handle with hand guard plate. 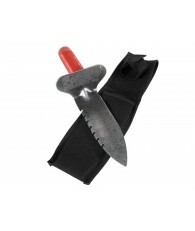 The hand guard plate is to protect your hand from sliding down on the digging part of the tool. Alloy steel blade is heat treated and tempered for long edge life and resists rust. Blade size: 2x7" and 11.5" overall. 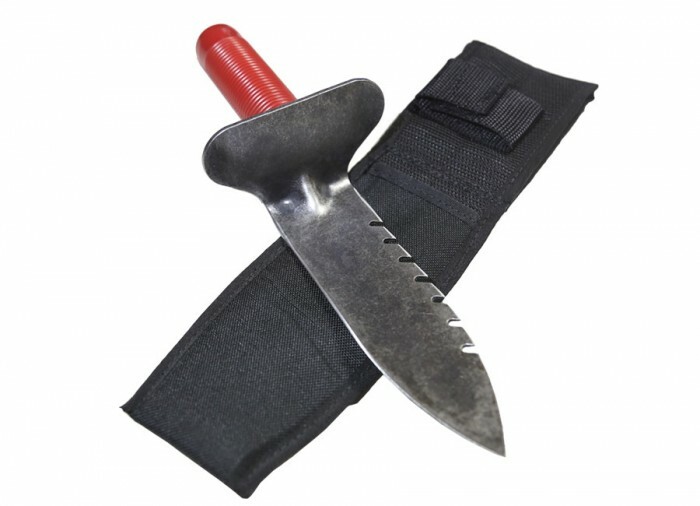 Includes a handy cordura belt holder with plastic insert for carrying. 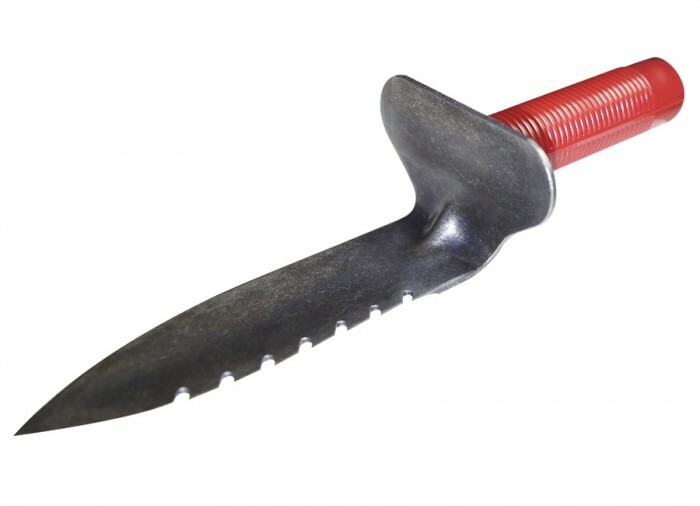 The Lesche Digging tools are offered in two versions, (RS) for Right Serration and (LS) for Left Serration. 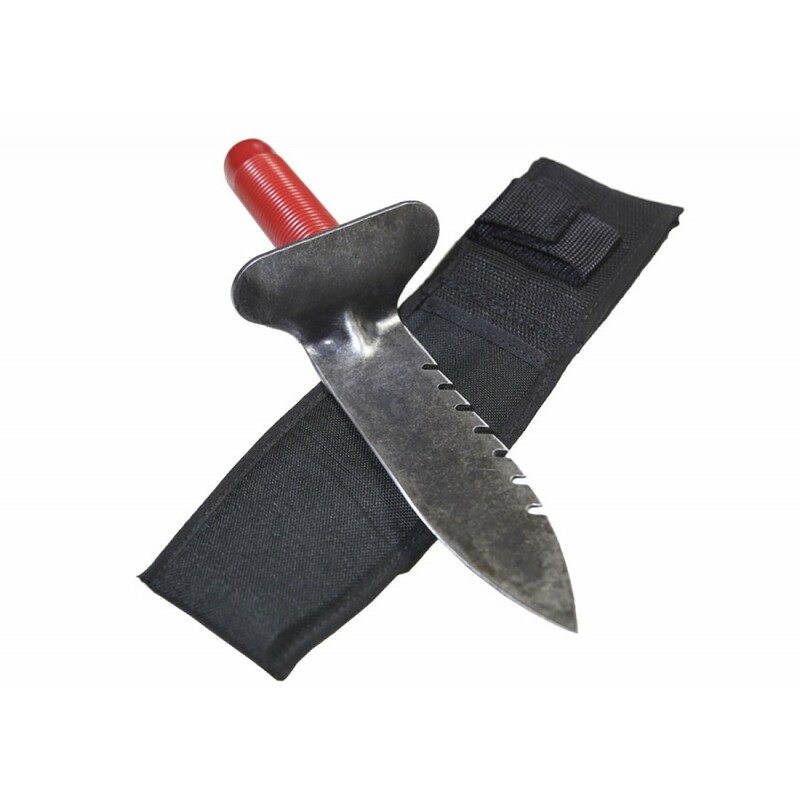 Depending on how you dig and what hand you use, choose either an (RS) or (LS) depending on what side of the digger’s blade you want to be the primary blade side. 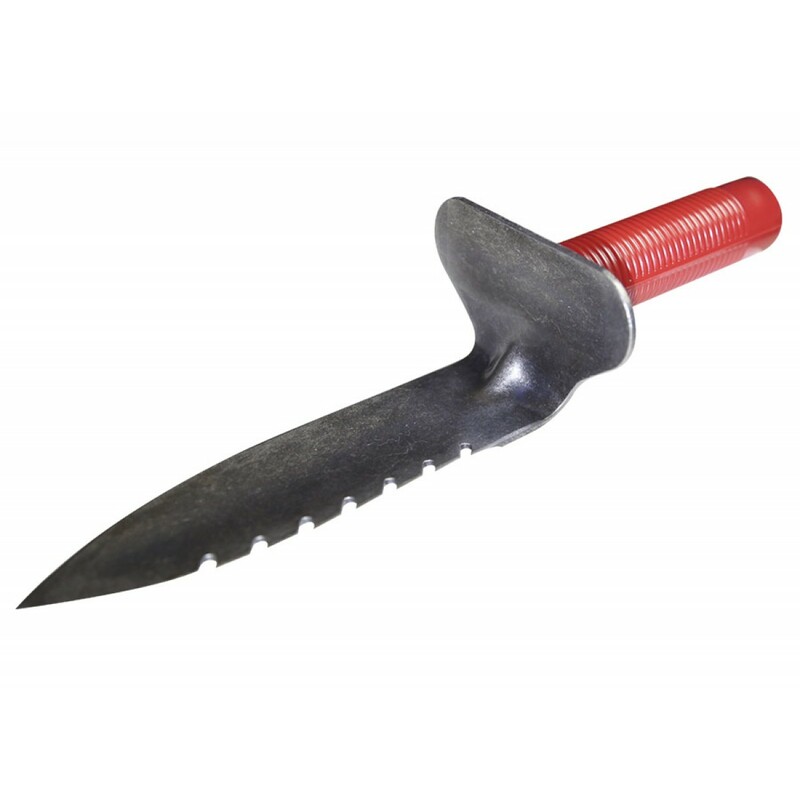 Example: If you dig with your Right hand most Right-handed people will dig their plugs in a Clockwise direction so you might choose the (LS) version if you want the serrations on the primary digging side or the (RS) if you prefer the non-serrated side as primary. For a Left-handed person if needed the serrations to be the primary side you would choose the (RS) because most Left-handed people tend to plug in a counter-clockwise direction. Bottom line is choosing the version that most closely fits your digging style. If you're looking for a good quality, low attention tool for cities and parks this is your best bet. It holds an edge very well and is easy to pack on the hip and still doesn't look like a hori hori knife or something "creeper like" in a park that will freak out the soccer moms. I found using a round file will make the serrated edge very sharp for roots.